Summary. As the information tide of the Internet ocean rises, how do you promote your cause, organization, or business? The developers of GaiaOnline.com have discovered a truly ingenious way to promote their site which is almost as impressive as the Gaia hypothesis itself. GaiaOnline.com is an online virtual community offering members a place to live in a virtual world, complete with home, furniture, car, clothing, and other items for free. To go beyond the basics of minimalism, members need to earn gold (credits), which is the currency of their online world. Currency can also be purchased. Based on this business model, the owners should do very well financially. The Boxxy or BoxxyBabee Phenomenon. In January 2009, Google searches for the name Boxxy spiked seemingly in response a YouTube user named BoxxyBabee posting an inconsequential short video of ramblings. [source] This YouTube user has three short videos posted, yet she has received over 1.7 million views to one of her videos. Aside from her ambiguous ramblings, she makes reference to the GaiaOnline community and her friends there. She shares her GaiaOnline username which is “moldy lunchbox” and mentions another user there who goes by the handle of 4DD (ADDI). Boxxy makes mention that she is getting some of the GaiaOnline currency from people presumably in exchange for promoting their site. However, it doesn’t seem as if this is an official Gaia sponsored stunt. The complete BoxxyStory has been reported by a user on Blogger. Yet, the story about Boxxy still has some missing puzzle pieces. She looks like Selina Gomez, and according to some reports her name in real life is Catherine Gomez. Boxxy’s language is laced with hacker terms. The 4chan.org online underworld community was apparently divided about their support of her to the point that their site was brought down. 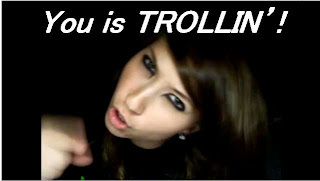 The Guardian reported about Boxxy and her Internet impact on 20 January 2009 which helped fuel the interest. Here most recent and popular video is below. More are available through her YouTube channel where she has over 31,000 subscribers. For the month of February 2009, her channel is ranked the #1 channel on YouTube based on new subscribers (more than Barack Obama). Part of her popularity seems to be her speech and mannerisms which some will think are not real, yet they seem to be genuine. Some of her mannerisms (her smile for example) and gestures are very similar to the comedian Sarah Silverman. If you have additional information about Boxxy not already here or on the links provided, let us know and we’ll post it here. The Rising Market Value of BoxxyBabee. It’s highly likely that we’ve not seen the end of BoxxyBabee yet. With the notoriety that she’s received, she will either keep promoting GaiaOnline, or perhaps be paid to do some viral marketing for products, services, websites, organizations, causes, and/or businesses. Getting the attention of 1.7 million people has some market value. The value of BoxxyBabee’s impact is about to skyrocket as can be seen by the trend data in the chart below. As would be expected, media coverage (the lower graph) usually comes shortly before spikes in public searching and awareness (the upper graph). We’ll be tracking the market value of BoxxyBabee. Update: As of 20090208mo, the value of Boxxy had doubled in Search Volume index rankings (see chart below) from about 3.5 peak in January to now almost 7.5 according to Google Trends. You should have invested in Boxxy as we advised back in January.